Steamforged Games are always looking to lead the way with miniature design and production. Our Limited Edition Mournblade has pushed the boundaries once again by not only being an alternate sculpt but we used an experimental translucent resin to give an ethereal effect. This material provides a truly unique finish and will make any Godtear Warband stand out on the battlefield. You will notice that it is far more flexible than traditional resin meaning the new material ensures that Mournblade not only looks stunning but will survive the rigour of regular gameplay. Pictured with his pre-production Knightshades and banner we have received as part of the Kickstarter production process you can see how unique Mournblade looks leading them across the battlefield. How does it look with paint? We wanted to have a play with the new material so we handed one of the Mournblade minis over to Archer, the chap who creates our amazing custom boards, to see what he could do with the new material. 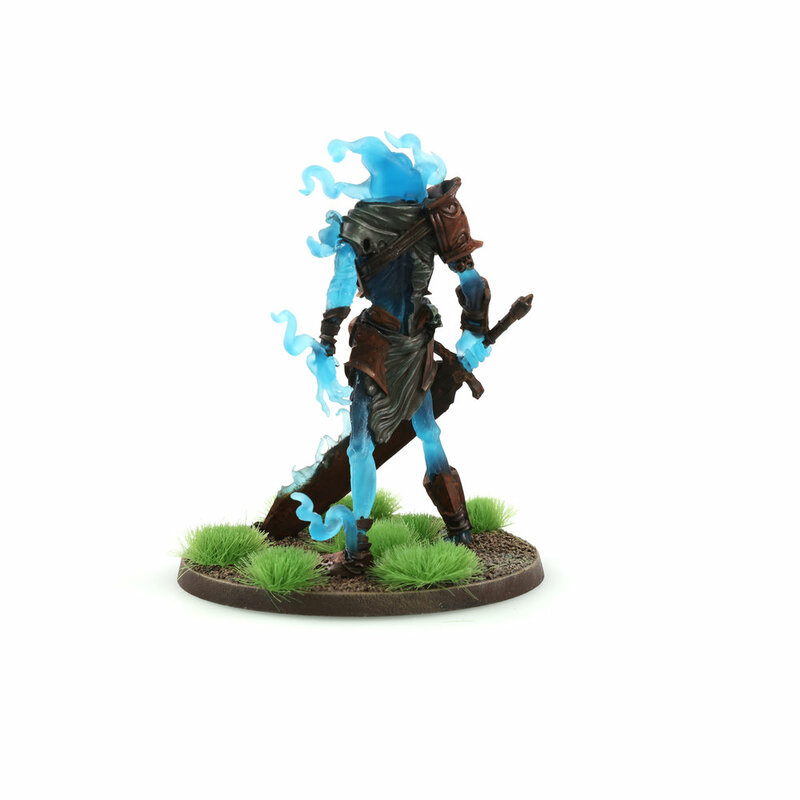 Archer opted to do some selective painting on the metallic and fabric sections of the mini and rounded it off with some white edge highlights on some of the sections he’d left translucent blue. It’s a relatively simple scheme but it’s extremely effective and looks fantastic. We’ve got a few photos of the painted Mournblade below. Some of the shots we’re taken on our photography table without any fancy camera tricks and lighting tricks just to show off the paint job… and then we let Ronan have some fun with some additional lighting! We hope these photos give you some inspiration to get your brushes out and have some fun with the translucent properties of the miniature! 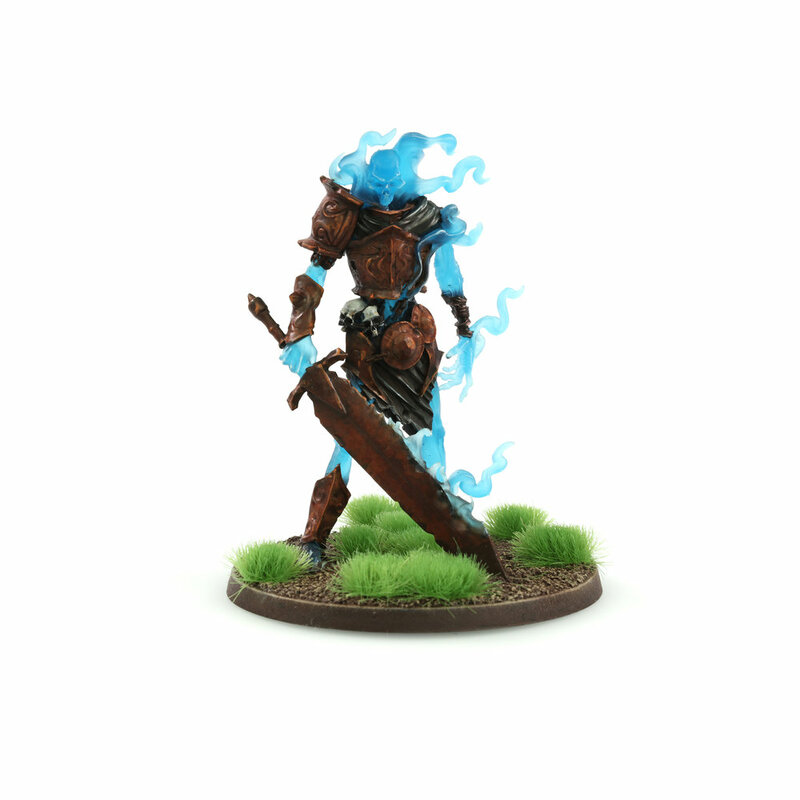 If you pick up a Limited Edition Mournblade please share your painted minis with us on social media along with any feedback you have regarding the material! This Limited Edition Mournblade* is currently available until December 18th as part of the Steamforged Games Winter sale.